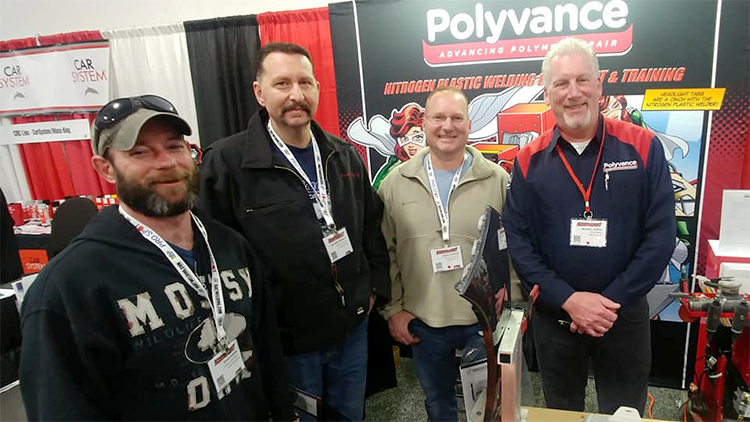 Over the weekend, Polyvance attended the 2019 Northeast Automotive Services Show at the Meadowlands Exposition Center in Secaucus, NJ. 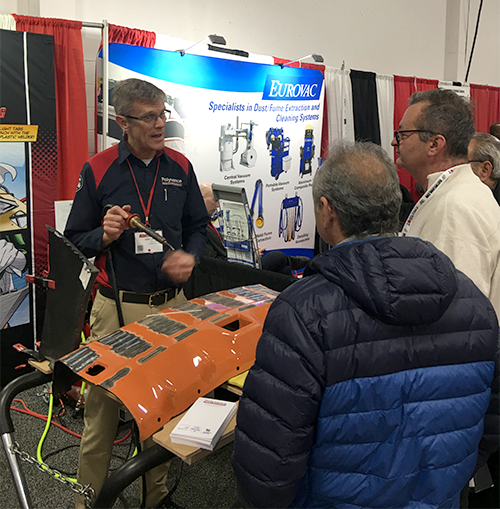 Our northeastern factory representative, Michael Koren, and company president, Kurt Lammon, were at the booth Friday, Saturday, and Sunday doing demos. 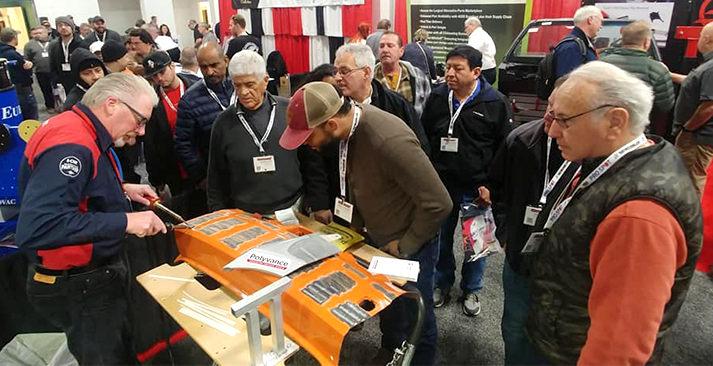 They had a great time meeting new people at the show, as well as seeing some of our wonderful customers! 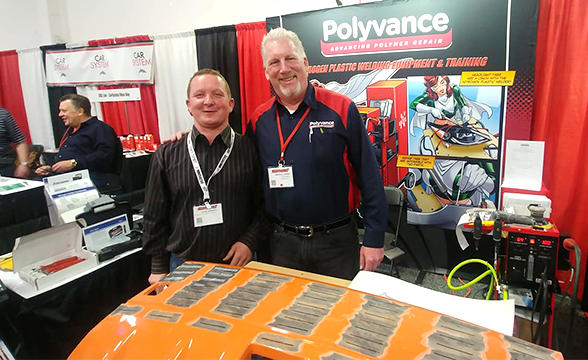 Chris Grzebyk from Amwell Auto Body in Hillsborough, NJ, pictured here with our northeastern rep, Michael Koren, stopped by at the end of day 1 of the show. Chris says he uses his Polyvance nitrogen welder at least 10 times a day! Here's Eddie Korpos with his guys from Ken's Auto Body of Ledgewood, NJ. Eddie said he got our nitrogen plastic welder about a year ago after thinking about it for over a year. He says he is really glad he got one because they use it several times a day now. 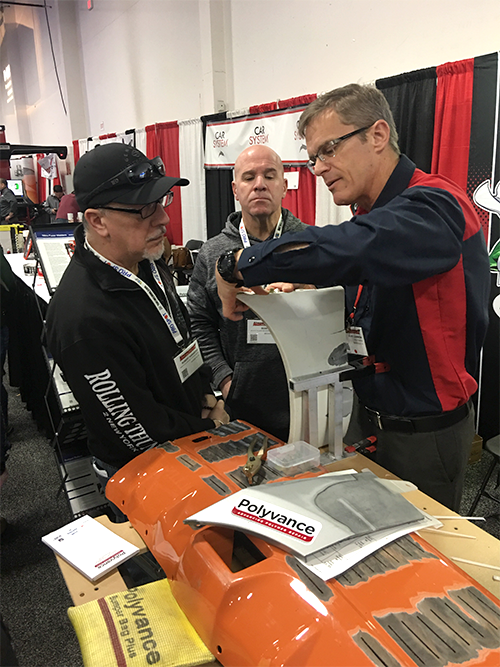 The included courtesy training from our regional rep, Michael Koren, was what made the difference in their productivity with the welder. 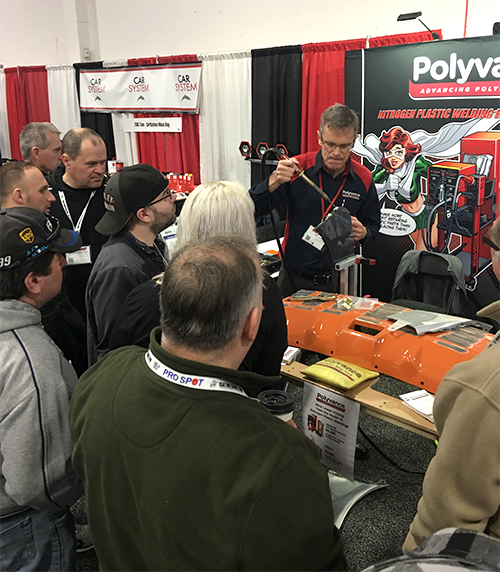 Mike wows the crowd with a nitrogen plastic welding demonstration. 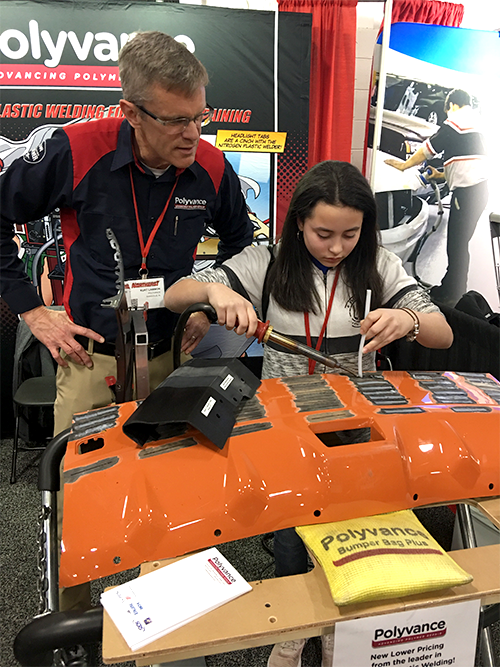 Kurt guides a young lady through welding. She is interested in going into collision repair. Kurt explains nitrogen plastic welding. Kurt shows off a completed weld. Kurt captivates the audience with a nitrogen welder demonstration.